Thanks to Daniel Nesbitt for these screen shots! In 2002 New Deal Office / GeoWorks was sold to Breadbox Computer Company LLC and became "Breadbox Ensemble". The name "Ensemble" comes from GeoWorks Ensemble (GeoWorks with the office suite). Apparently they only sold Breadbox Ensemble to educational institutions, although reportedly it could be purchased through various distributors. Overall, Breadbox Ensemble has some significant improvements over NDO 3.2a. 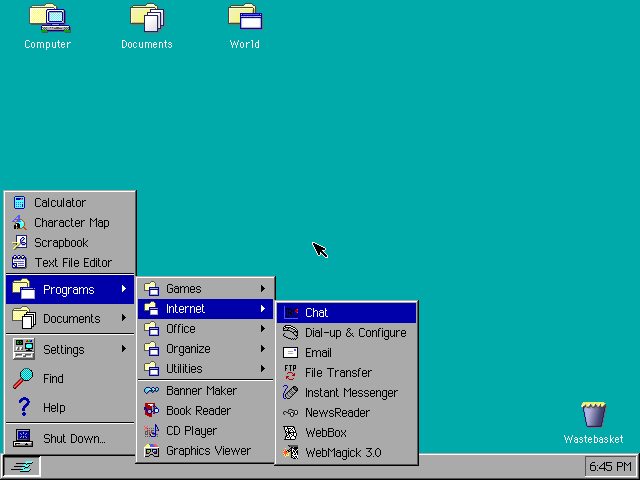 An AIM compatible instant messenger. 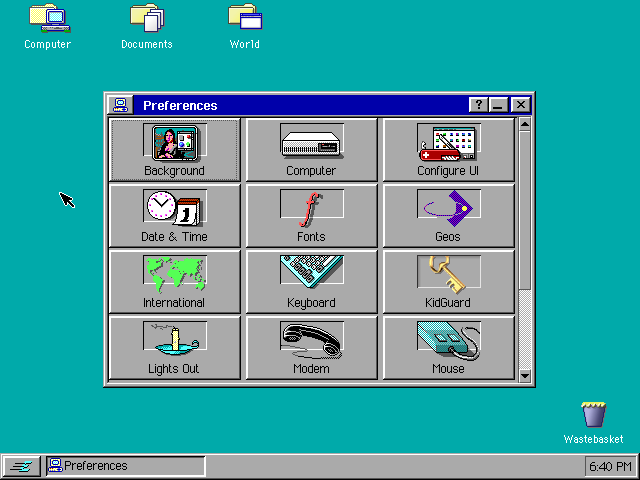 A significantly improved web browser. 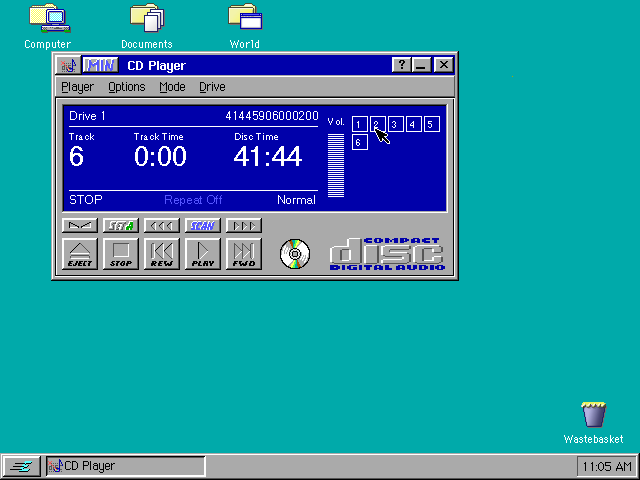 Surprisingly, despite all of these new features, Breadbox Ensemble is close to the same size as NDO 3.2a and still performs well even on old 386 systems. In Breadbox Ensemble, the programs in the Express menu are now organized in to groups. The file manger has not changed too much. 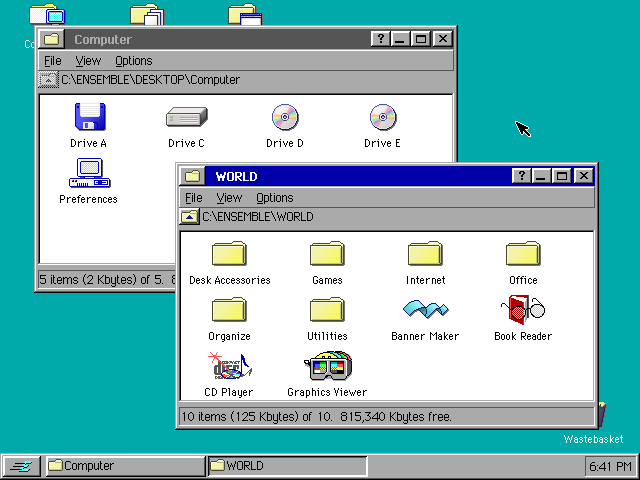 The menu items have been reorganized, it now shows the folder location, a button is available to navigate to the parent folder, and folders can optionally open in existing windows. Preferences has been reorganized so there are fewer buttons with some related options merged together. Breadbox ensemble includes slightly enhanced versions of the productivity applications that came with NewDeal. This screen shot shows Artist (formerly NewDraw), Spreadsheet (formerly NewCalc), and Writer (formerly NewWrite). 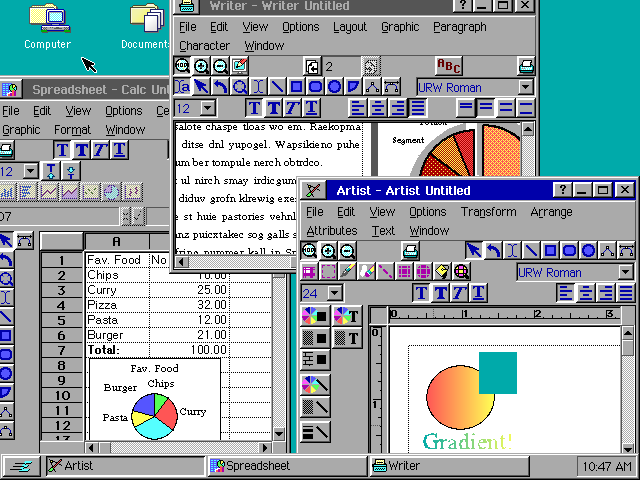 It is interesting to note that the gradient feature was introduced way back in GeoWorks Ensemble 2.0, way before Microsoft offered that feature in Office! 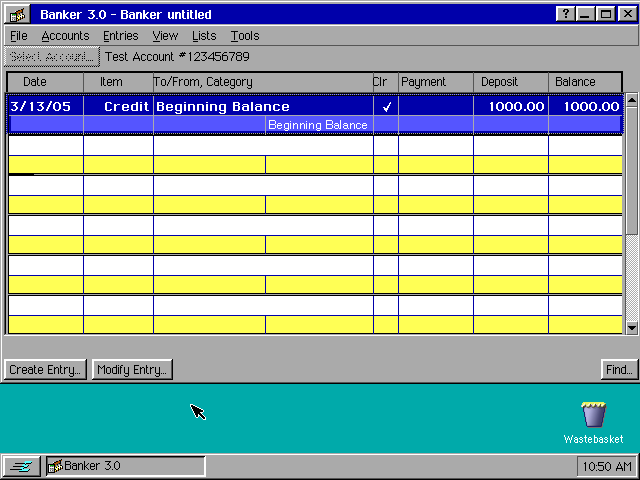 Banker 3.0 has been significantly enhanced and it's stability vastly improved over that of NewBanker. 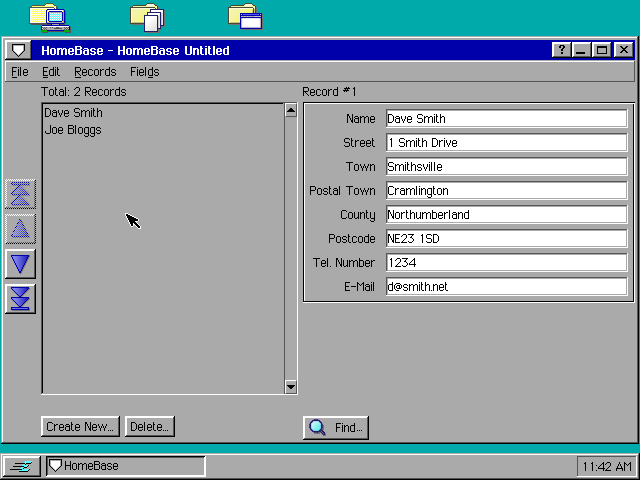 HomeBase is a fast, highly customizable card file application that can act as a very simple database. 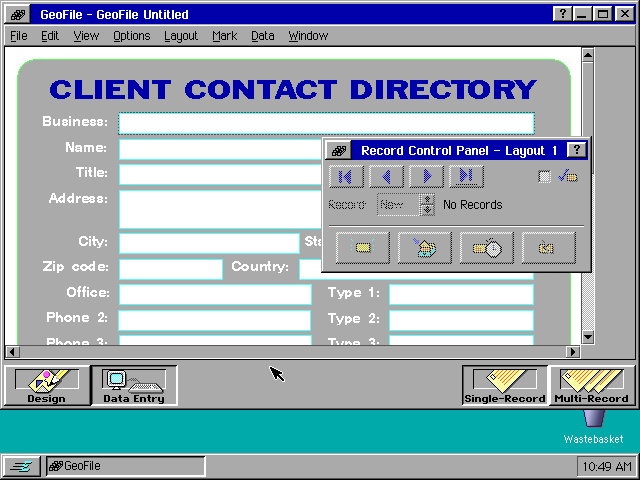 GeoFile, part of the included office suite, is a feature rich graphical database application. Features include a graphical forms builder, calculated fields with a graphical expression builder, and multiple (continuous) record layout.